Yes, there are positive traits of high copper including a warm, caring, sensitive, emotional nature....often artistic and a child-likeness. Often high-copper people look very young. Many feminine traits are associated with copper, such as softness, gentleness and intuitiveness. The negative traits show up when the copper gets too high...like spaciness, racing thoughts, living in a dream world and naiveté. Other qualities include childishness, excessive emotions, sentimentality, a tendency toward depression, fearfulness, hidden anger and resentments, phobias, psychosis and violence. Artists and inventors often "live on the edge" in part because of their high copper levels. Copper-toxic people are usually drawn to sweets or salty foods due to adrenal insufficiency. Sea salt can prove to be beneficial, but eating sweets usually worsens the condition. Another common symptom is lack of appetite, even tending toward anorexia. Zinc is necessary to thwart the copper effects in the brain, and can also help with the sense of taste and smell. In the high stress of the teenage years, especially teenage girls, the anorexic effect can be lethal due to the excessive carbohydrate intake which lowers the zinc level. An important cause of anemia, especially in women, is copper imbalance. On a blood test, this anemia looks like iron-deficiency, when in fact it is a copper issue. Copper imbalance impairs the immune system. Cancer is associated with all three copper imbalances...deficiency, excess, and biounavailable (which is a combination of the other two). Estrogen and copper have a direct relationship...when copper rises, so does estrogen. Estrogen is a potent carcinogen, hence estrogen dominant men and women are at risk. Copper in excess or when it is biounavailable causes liver toxicity. Copper alters thyroid gland activity and can contribute to cancer and other issues like Grave's disease. Copper imbalance is associated with fungal and other infections, which can often be the root of a cancer issue. Copper blocks anaerobic metabolism when in balance. This effect disappears when copper is too high or low. Copper in excess interferes with zinc and zinc is required for a healthy immune response. Also, over 100 enzymes, from digestion to skin protection against infection and cancer, are directly related to the proper level of zinc in the body. 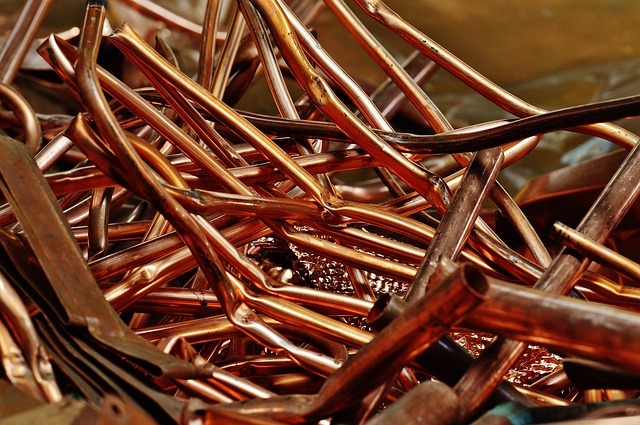 Young children are severely impacted by copper. An imbalance of copper and zinc are involved in ear infections, skin rashes and dandruff. 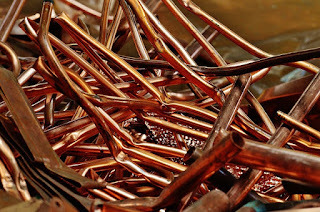 Often, along with other metals, copper imbalance is related to learning and developmental disorders, colic, ADD and ADHD, sleep problems and childhood cancers. Children are born with high copper levels which should diminish around age four. Persistently high levels are beginning to be seen, with copper, at times, being hidden. Children are born with copper imbalances because of a high-copper mother who passes this down through the placenta in utero. Mothers-to-be should correct their copper imbalance before becoming pregnant. It can be corrected in the child after birth, but takes much more effort. After birth, the baby can also develop copper imbalance due to inadequate nutrition. And stress at home or school is a critical factor in sensitive children as well. Vaccination and use of prescription drugs aggravate the copper imbalance, usually depleting zinc.